This luxury camping site located within the Var region of southeastern France is known for its beauty as well as the numerous accommodations that are offered. La Bastiane is an ideal choice for the entire family and to learn more in regards to this camping holiday, it is always wise to speak with a representative from LUX-camp. 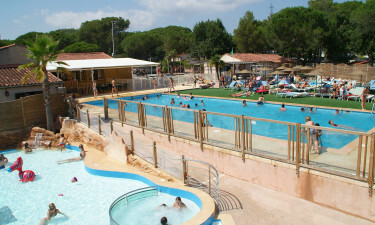 Why Should I Select the Holiday Camping Site of La Bastiane? 180 pitches on 3 hectares of land. A proximity to the Mediterranean Sea. There is a wide selection of quality mobile homes. Anyone who is a fan of the surf and sand will love what this luxury camping resort has in store. La Bastiane is located a mere 4 kilometres from the shores of the Mediterranean, so the fresh sea breezes are never far off. The sands here are quite clean and the waters are inviting from late April until the end of the tourist season. Such a camping holiday is perfect for anyone looking for maritime bliss. Camping luxury would be nothing without the wide selection of activities for visitors to choose from. In this respect, La Bastiane is at the top of the list. 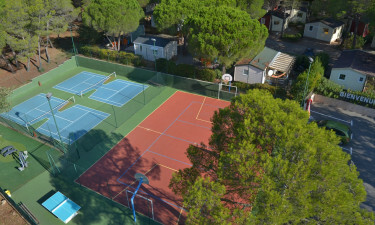 Some of the distractions within its confines include tennis, table tennis, volleyball and bicycle hire for local excursions. Should a family wish to stay close to their mobile home, swimming in an open-air pool is another possibility. Surfing, sailing and golf are located only a short distance away from this luxury camping resort. The notion of camping luxury at La Bastiane is enhanced thanks to the modern facilities to be found here. All mobile homes are equipped with full access to wireless Internet. Dedicated power supplies are likewise offered free of charge. 20 private washing cubicles, a baby changing centre and a fully equipped laundrette are some other features to note, promising guests a refreshingly convenient stay. Guests here can enjoy some tasty Mediterranean dishes with the help of The Taverne de Corto. This stylish restaurant is open every day of the week between April and October. Food from the Provence region abounds while more international dishes such as pizza, chips, burgers and pasta are offered through a buffet-style menu. There are also meals specifically designed for children. After a delectable dinner, why not stop by the bar within this restaurant? One can choose to lounge outdoors with a tempting cocktail or remain inside and watch live sports on a large-screen television. A fully stocked grocery store is able to provide for most luxury camping needs. Fresh fruits and vegetables, frozen produce and drinks can all be found here. There are also international newspapers and a selection of quaint souvenirs found within this market. These are only some of the advantages of this truly amazing luxury camping site.